Escape to the beauty and depth of this magnificent stone, with its exceptional color and movement. The countless dimensions of natural marble appeals to both classic and contemporary tastes. Versatile color selection works well with a variety of accents including metals and glass. 10 square feet, 10 pieces per case. Case weight is 55 lbs. 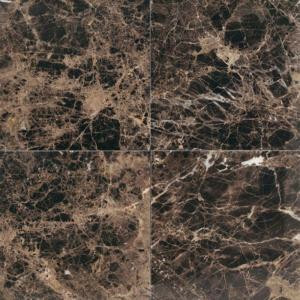 Buy online Daltile Natural Stone Collection Emperador Dark 12 in. x 12 in. Polished Marble Floor and Wall Tile (10 sq. ft. / case) M72512121L, leave review and share Your friends.